With iOS 6 in the hands of iPhone, iPad and iPod touch owners for more than a month now, a new report claims Apple is preparing not one but two different updates to the OS in the near future. 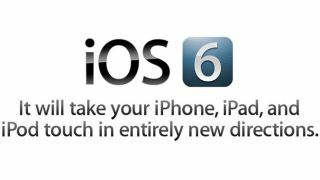 BGR reported Monday that Apple has started testing an iOS 6.0.1 update with its U.S. carrier partners, which appears to primarily be a bug fix release. According to an unnamed source, Apple is expected to release iOS 6.0.1 sometime in the next few weeks - but don't count on any huge improvements such as a fix for Apple's Maps issues. The report only mentioned U.S. carriers and gave no indication of an international rollout for iOS 6.0.1. The iOS 6.0.1 update is said to include fixes for bugs such as horizontal lines that appear on screens when either the keyboard or app folder are open. The keyboard problem seems limited to the iPhone 5, AppleInsider reported, and occasionally appears when users attempt to enter an Apple ID password. Another glitch supposedly getting a fix is an issue that causes the camera flash not to trigger when taking a photo. If and when 6.0.1 rolls out, other minor updates reportedly include Wi-Fi support improvements, cellular data fixes and a new consolidated cellular data switch for iTunes Match. A Passbook lock screen bug and a nagging Exchange problem that causes the deletion of meetings for an entire group are also likely part of the 6.0.1 rollout. If that's not enough of an iOS update for you, then sit tight - Apple has also reportedly started testing iOS 6.1, which appears targeted for release sometime after the holiday season. BGR's source had no further details on what the bigger update might bring, but it looks unlikely to ship with the rumored iPad mini that Apple is expected to announce at a media event on Tuesday morning.